AquaBattery manufactures spacers, a component of the stack to keep the membranes on a fixed distance from each other to allow water to flow alongside the membranes: the AquaSeal. 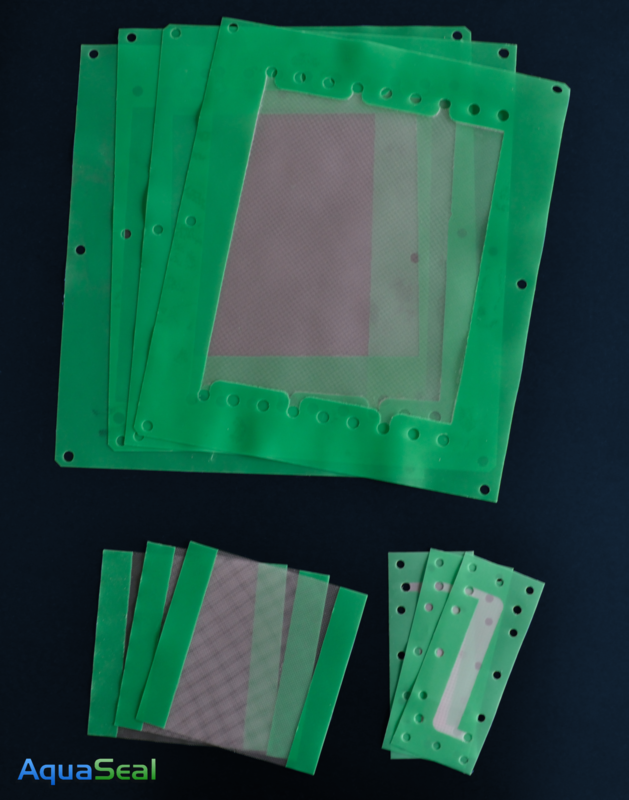 The spacers, comprised of a netting and integrated gasket, is produced according to your desired specifications. For more information or obtaining a quotation, contact us.